There is no need to worry if bathroom cleaning is not your cup of tea. Our company is a champion cleaning services provider for Marylebone, W1U and the area, and we are inviting you to hire our amazing and convenient bathroom cleaning service. We love helping people with their bathroom cleaning, because we know how important a clean bathroom is to the family, we want to help you get a clean and safe bathroom, so you better give us a call for an appointment right away. 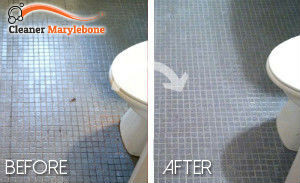 We will clean your bathroom for you in no time, and for a very affordable price. Our cleaners will plunge themselves into your bathroom and will not leave it, until they have achieved perfect results. We guarantee you a quick and efficient cleaning service. Give us a call if this sounds like something that you need. Let us help you get your bathroom in the best clean and safe state, without you having to pay a fortune, or to clean it yourself. We guarantee you the best bathroom cleaning service you can find in W1U. Our cleaners will clean your bathroom mirror and cabinet, they will deodorise it, they will clean and sanitise the toilet bowl and seat. They will de-scale and de-lime the tap and the bathtub. You can say ‘Goodbye’ to mould and soap residues. 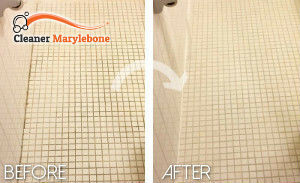 Our cleaners will clean your floor and wall tiles, and the joints. They will take out the garbage and reload your toilet paper, if necessary. Hire our bathroom cleaning service, and you will not regret your choice, we will make sure of that.